BBrrr as the temperature drops, if you are getting married in the next month or two, you’re probably worrying about how to stay warm, but not look like you’re about to ski down the black run. Well worry not, as we’ve got a selection of winter warmers for your delight from Wonderful Wraps, who have a fantastic range to suit all wedding styles. To go all out in the keeping toastie stakes then you will almost certainly need to have a wrap or cape. Velvet Cloak with Fur Hood and Train, £599. 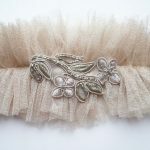 The wedding muff may feel like an accessory too far for you as a bride, but they do look fantastic on bridesmaids, who can have one instead of a bouquet, and it will stop them from getting freezing when standing around waiting to be photographed. We spoke to Katie Diamond from Wonderful Wraps who says “Normal postage times are 3-5 days but if an item is not in stock you will be emailed immediately and notified of the new delivery date. The Wonderful Wraps cloak is bespoke and so will take around 6 weeks, however in some cases we can reduce this, as our wedding range is made here in England. Customer service is paramount to us so we are on hand to offer friendly advice and help with every order”. 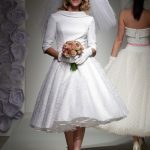 Spring 2012 will see the release of three new on-trend pieces as part of their wedding collection so keep an eye on their blog to find out more.